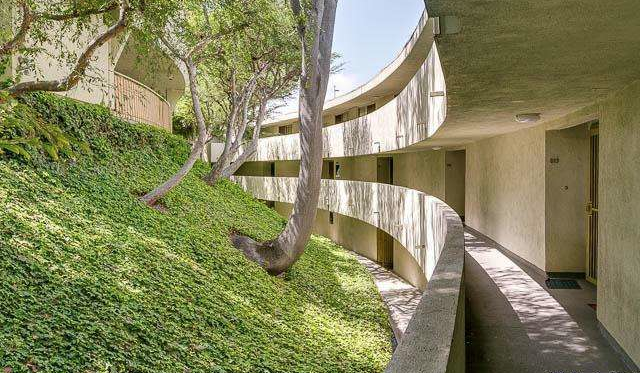 Built by Allyn E. Morris in 1972, Lago Vista has become an iconic piece of Echo Park architecture. 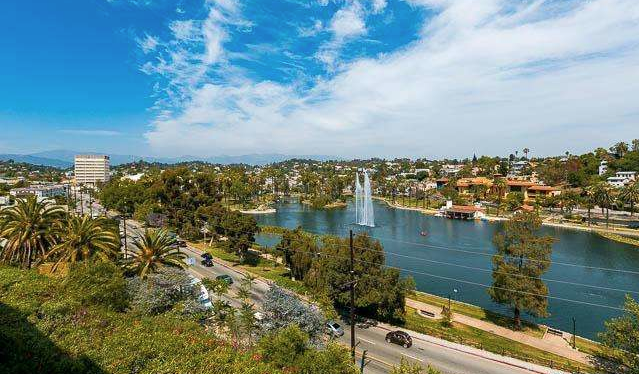 Perched high in the hills overlooking Echo Park Lake, this complex certainly does live up to its namesake, not to mention additional views of nearby Downtown LA and Sunset Blvd. 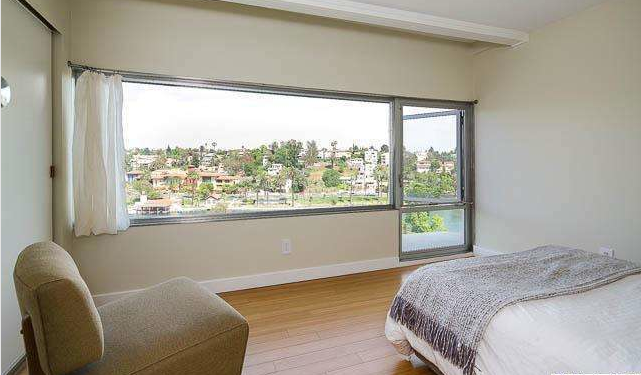 Besides the amazing view, unit #312 also offers a healthy combination of updates (which we’ll get to), while preserving much of what made this Mid-Century Modern-esque design so special. 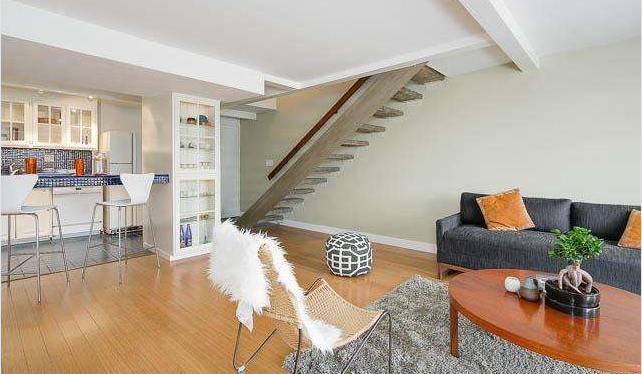 With two bedrooms, one bath, and an asking price of $439,000, this is a great price in a hot market, for either a first-time buyer, or someone looking for an excellent rental unit. 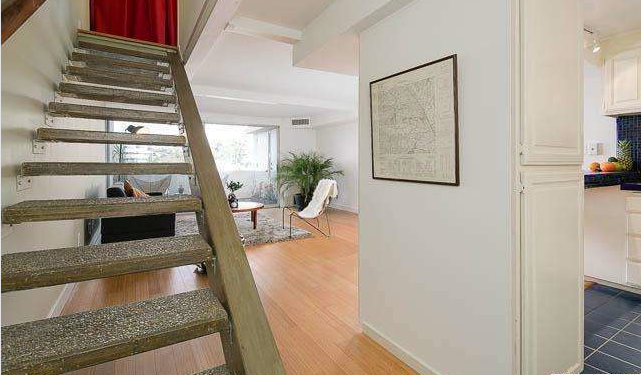 Tasteful, sustainable updates like bamboo flooring and Low-E, dual-glazed windows blend perfectly with the original floating concrete stairs. While 843 sq/ft may be considered cozy, the open floor plan and simple layout allow for maximum use of interior space. 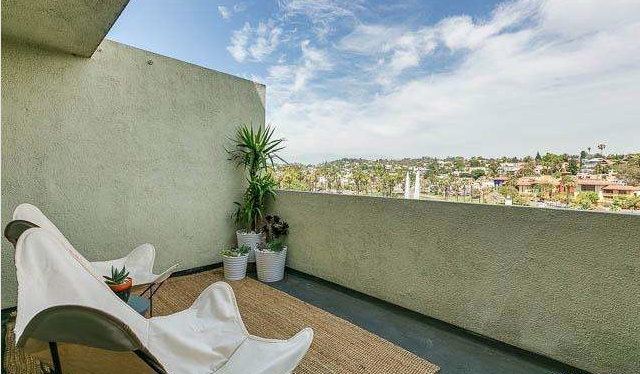 But with SoCal sun and breathtaking views of Elysian Park, the outdoor area should certainly be taken advantage of, too. 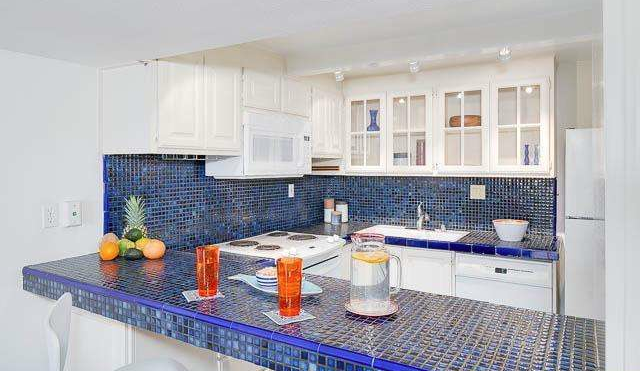 The cobalt blue mosaic tile of the kitchen is original. And, while it may not be to everyone’s liking, one can always appreciate the clean layout, breakfast bar, and timeless cabinetry design. 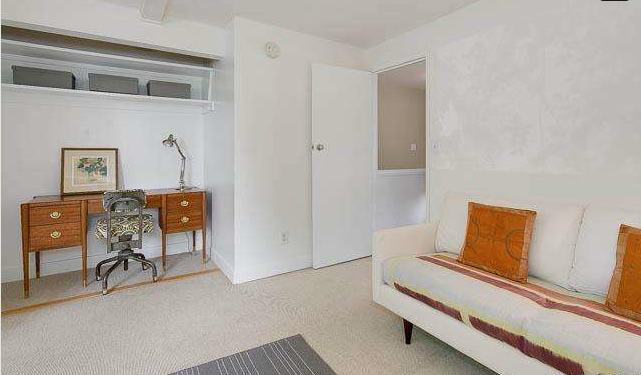 Upstairs you’ll find both bedrooms to be respectfully-sized, with more great views from the master bedroom, along with carpeted flooring in the guest bedroom. The cobalt contingent continues on in the bathroom. 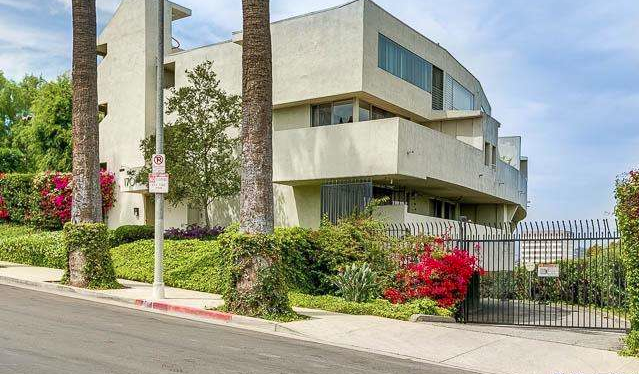 As architectural homes go, this is a very livable unit that offers both privacy and close proximity to much of what the surrounding neighborhoods have to offer. 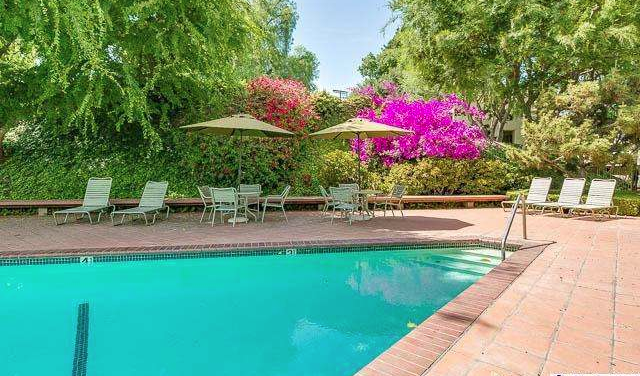 Though–if you’re just feeling lazy, you can always lounge around by the pool. 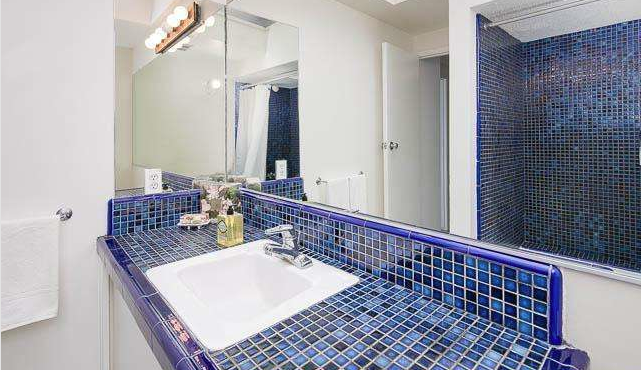 Catherine Morgan of Podley Properties has the listing.